Sama Alshaibi will conduct a brief US lecture tour this month. The lectures will cover the central themes of Alshaibi’s work, which include the causation and aftermath of war and exile. The artist will also address various uses of photography, video, and installation when positioning the body as a vehicle for representation of geopolitical and environmental issues. 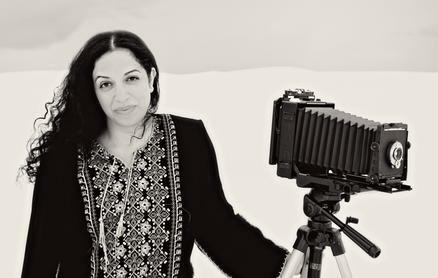 Alshaibi’s talk, On Art and Beauty, will take place on 16 February at 7pm at Montclair State University in New Jersey. Sama Alshaibi in Conversation with Maymanah Farhat will take place on 17 February at 6:30pm at Aperture Foundation Gallery and Bookstore in Manhattan. Alshaibi will speak about her artistic practice while referencing her recently published monograph Sand Rushes In (New York: Aperture, 2015). A book signing with the artist will follow the talk. Spring Photo Lecture Series: Sama Alshaibi will take place at Massachusetts College of Art and Design in Boston on 23 February at 2 pm.